Shane began his career in the construction industry after receiving his degree in Carpentry and Business Trade. He took night classes to earn an Associate Degree in Computer Aided Drafting, with an emphasis in Architectural drafting. After a few years building homes, he decided to obtain his real estate license in early 2009. Shane knew he wanted to be under the RE/MAX balloon, and decided on RE/MAX Real Estate Concepts. As his business began to flourish, he opened an office in Polk City and began adding office staff. Shane built a strong business over the years and also saw an opportunity to become a mentor to other agents. 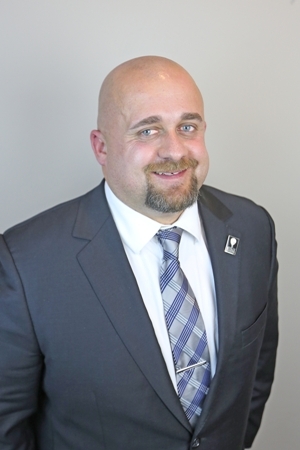 He accepted the offer to become a Broker/Owner with RE/MAX Real Estate Concepts in 2013, and he became a principal owner of RE/MAX Real Estate Concepts in September 2016. Bought a Single Family home in 2019 for approximately $175K in College Creek/Old Ames, Ames, IA. Shane Torres's team has been extremely helpful as my sister and I worked with them to purchase our first home. As students busy writing a thesis or navigating engineering coursework, we were often quite busy and overwhelmed by all the requiements of our lives. That being said our realtor, Ayeesha, was incredibly responsive and anticipated our needs, coordinating home inspections, negotiating roof repairs, and doing nearly everything other than signing our papers and transferring our utilities. The entire team was kind and professional, very willing to right any issues as they arose, including their recommended external sources, such as their recommended loan officer. Your review is greatly appreciated, thank you for the kind review! Sold a Single Family home in 2019 for approximately $150K in Cambridge, IA. We worked with Andrew at the Torres team to close on our acreage and it was a great experince!! He had so many resources for us and was so timely in any of our interactions and questions. We would most certainly reccomend him! Sold a Single Family home in 2019 for approximately $225K in Polk City, IA. The Shane Torres Team is exactly that, a TEAM! They are quick to respond to questions, requests to look at a property, etc. I've used them before and never questioned who I would use this time around. Would give them more than 5 stars if possible. Look no further for your realtor! We appreciate the review, thank you! Bought a Single Family home in 2019 for approximately $100K in Fairground, Des Moines, IA. Chance, with the Shane Torres team, has been awesome to work with! He has made the whole home-buying process very easy and almost stress free for me. From his continuing patience and efforts in finding me a house I actually liked, to his ability to work around my crazy schedule. He has taken the time to explain everything to me from beginning to end, and has also had the continuing resources/people I have needed throughout the whole process. It was a pleasure working with you too, thank you for the review! Sold a Single Family home in 2019 for approximately $200K in Polk City, IA. We have been so thankful for Shane Torres and his team through the buying and selling process. They helped everything go smoothly and answered any questions we had along the way! Thank you for the kind review, we appreciate it! Sold a Single Family home in 2019 for approximately $325K in Ankeny, IA. Very helpful, I never had to worry about anything. Very responsive as well - I don't have a lot of experience buying homes, so it was helpful to have someone walk me through every step. It was wonderful to work with you too, thank you for the review! Bought a Single Family home in 2019 for approximately $200K in Norwalk, IA. We stumbled upon Cameron with the Torres Team by complete accident and we couldn't be more thankful. He was knowledgable and was able to see and understand our vision when looking for our first home. I appreciated his honestly and willingness to look into costs for improvements/changes we wanted to make. He actually stepped out the approximate footage of our yard in the pouring rain to help us estimate fencing prices – that's just one example of going above and beyond. His constant communication and friendly, laid back personality was such a great fit for us. Upon closing, Cameron offered us the sweetest house warming gift – unnecessary and unexpected, but so appreciated. I definitely encourage you to give Cameron or his team a try! Thank you for the review, it was a pleasure working with you too! Bought a Single Family home in 2019 for approximately $125K in Drake, Des Moines, IA. Beyond happy with how easy Cameron Campos made the home buying process! As a first time home buyer we had tons of questions and he was more than happy to help! This team is AWESOME! We appreciate the kind review, thank you! Bought and sold a Single Family home in 2018 for approximately $125K in Kirkwood Glen, Des Moines, IA. I had the privilege of working with Andrew. He was able to sell my home in a very quick time, when 3 other realtors couldnt bring the sale home. I trusted Andrew enough to find me my next home. Andrew was patient, knowledgeable and responsive when I called. I can say next time I decide to move Andrew will be the first person I call. Great team. Thank you for the review! We enjoyed working with you as well. Bought and sold a Single Family home in 2018 in Bondurant, IA. This is a hard working team. It was evident the amount of experience Chance had when he would walk me through the house and point out every detail. This gave me the confidence I needed in purchasing a house. Communication takes place quickly among the group allowing me to know everything was getting done in a timely manner! They have a great photographer Randi who has a great eye for detail! We appreciate you taking the time to write a review, thank you!